There are ways to ensure that you end up working with the type of customer you want for your business. Learn to target customer who are a perfect fit for your business. Silver Circle members enter here. Not a Silver Circle member? Click here to join. If you want to be wealthy, build up connections. Build up relationships. I’ve just been travelling around to a few different places. I went to an ‘I Love Marketing’ conference in the United States. There are 500 people there who I can build my network with. So make sure you get to a few events this year and if there are a lot of people in those events then that’s more connections. It’s more important than just working really hard. It’s really important to look after yourself when you want to grow your business. You are the foundation so eat well, exercise and enjoy life. Build your business around your lifestyle and you can sustain it. Target who you want to work with and then create a system to get more people just like that. 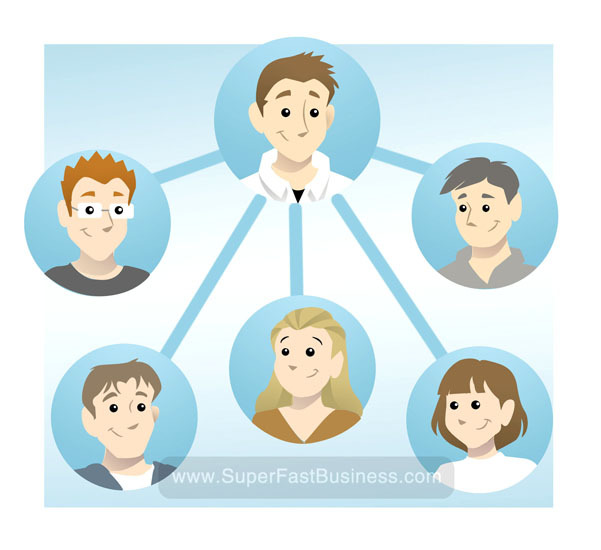 Figure out who that is and create a customer getting system and a referral system that keeps bringing those people back in front of you time and time again. You can systemize and automate that with things like auto responders and websites. One of the secrets to being productive is to remove everything else, all the things you don’t need. That means saying no. That means taking an inventory of what you’ve got, eliminating all the things you don’t need and just sticking to the top 3 and work out the next action step for each of those 3 items. That gets you moving forward way faster. Put things away into a someday or later folder if you’re not ready to get to it yet. One of the secrets to going really well is to lift your confidence up. Work really hard in improving your confidence. Take on some things that you might normally be scared to do and see what happens. Maybe you’re being worried about something that you don’t have to be worried about at all. Make a commitment to just do great things. I heard Joe Polish talk about this at ‘I Love Marketing’ and a big shout out to them, fantastic event. Make a commitment to do great things only and just get rid of everything else and your whole performance will lift up. lol James, the thing about creating your business around your lifestyle, eating well and exercising… that describes me perfectly! I train whenever I want and eat like every two hours, I couldn’t do that before I got online! Have fun in Germany… you may have missed Oktoberfest but I’m sure you don’t care, I don’t think they serve Grange there! James, I really enjoy all your video news updates. The value you put into the 4 or so minutes it quite amazing. Enjoy the rest of your travel and be sure to sample some of the tasty german beer! This is gold, all our clients have come through referrals… systemising that has been the challenge!